Patos Island Press, 9780984722501, 87pp. • Establishing an open stream of communication and respect among board members. 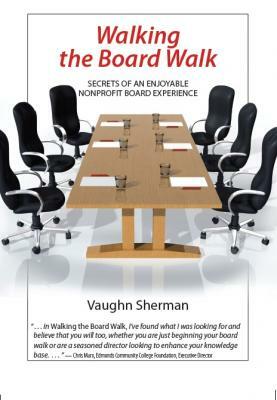 Vaughn Sherman was born and educated in Seattle, Washington, He has enjoyed several careers. After working as a fisheries biologist in Alaska and Washington State, he was recruited by the CIA and served more than twenty years, mostly abroad. After taking early retirement, Vaughn became involved in numerous community activities, mostly involving the governance of non-profit agencies and community colleges. He has published three books dealing with the management of non-profits. A certified mediator, he is a volunteer with the Dispute Resolution Center of Snohomish, Island and Skagit Counties. He and his wife, Jan, now enjoy a northwest life with their large extended family.